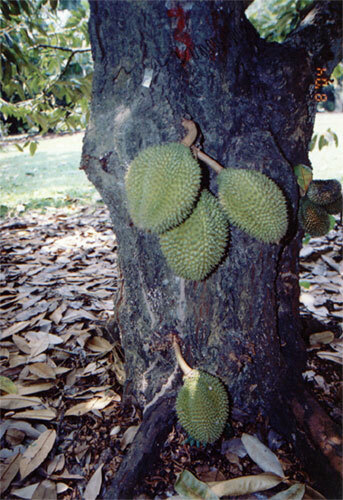 Durian tree begins to bear fruits within 5 to 7 years. Trees grow up to 50 metre tall. Grafted clones about 20 metres. Young tree bears about 50 fruits. Mature tree between 15 and 25 year old have as many as 100 or more. 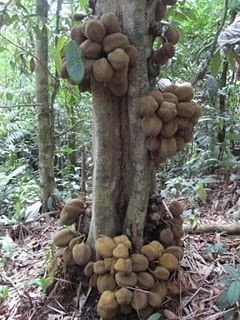 The fruit takes about 16 weeks to develop. 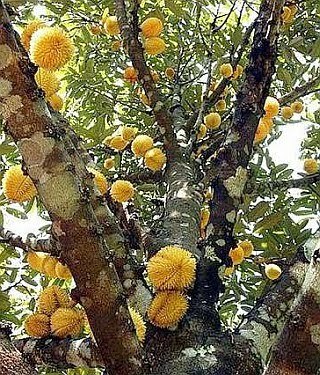 A 50 year old tree can produce between 200 and 400 fruits during good season. If dry season is too short or absent altogether (raining season) it may occasionally not bear fruit for 1 to 2 years. 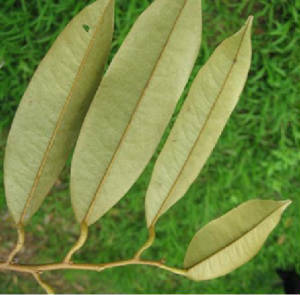 Young trees do not need excessive amount of fertilizers as the roots system is not elaborate enough to absorb excess nutrients. 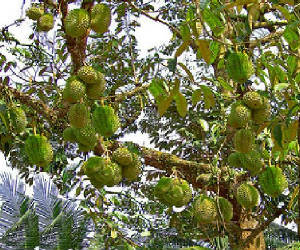 Durian trees need high amount of Potassium, Magnesium, Manganese and copper. 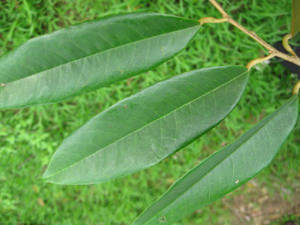 Prunning of branches lower than 2 metres from ground in young budded trees can reduce infection.